This week marks the start of the countdown to the 37th annual TV Week Logie Awards, to be held in April and broadcast on the Seven Network. 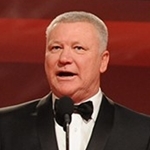 Bob Campbell, Seven’s managing director, said the Logies will be “a fabulous night, coupled with a mighty ratings success.. the full resources of the network will be thrown behind 1995’s event.” Key details of the Logies, including host, guests and venue, are still to be announced but in the meantime viewers can place their votes for the twelve Most Popular award categories, including the Gold Logie for most popular personality on Australian television, using a coupon from the magazine. 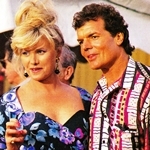 Viewers may be in for a shock when they see Deborra-Lee Furness in her latest TV role. With a background of earthy, gutsy and antagonistic roles, plus an upcoming role as a lesbian cop in Halifax fp, she takes on the far more frivolous role of Delores Kennedy in Seven‘s new series Fire. Delores is described as the ‘suburban sexpot’, decked out in pinks, blues, spangles and clashing prints. “When I first had to audition, I said, ‘I’m totally wrong for this part!,” she told TV Week. “It was a little scary for me because it’s such a bold, brash character, and there’s a fine line there. You could really fall on your face with something like this.” Furness (pictured with Fire co-star Andy Anderson) will also appear on TV later this year as the lead in the ABC prison drama, Correlli. Former Doug Anthony Allstar Tim Ferguson is busy filming for Funky Squad, a send-up of Seventies cop shows being produced by the team behind Frontline. Meanwhile, he is also tipped to be host of Nine‘s proposed new game show Don’t Forget Your Toothbrush, a format that’s been a hit in the UK. 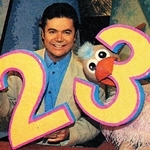 Actor Tony Bonner, best known from TV shows like Skippy The Bush Kangaroo, Cop Shop, Skyways and The Last Frontier, is taking on a much different role during January… as newsreader for regional network Prime Television‘s Gold Coast bulletin. Former model Charlotte Dawson, who has been working behind the scenes on Nine‘s Looking Good and Money programs, will be Today‘s new fashion reporter, replacing Robin Galway. Agro’s Cartoon Connection host Ann-Maree Biggar (pictured) has quit the show after six years to take on a role as reporter for Seven‘s The Great Outdoors, which will be back soon in a revamped half-hour format. The Seven Network will soon be producing an Australian version of the British game show Gladiators. The 13-episode series is set to be filmed at the Brisbane Entertainment Centre in February. Saturday: The Benson And Hedges World Series Cricket (9.50am, Nine/WIN), England versus Zimbabwe, is live from Brisbane, with commentators Richie Benaud, Tony Greig, Greg Chappell and Bill Lawry. The final day of the Hopman Cup (1.05pm, ABC) is live from Perth. Sunday: The Benson And Hedges World Series Cricket (9.50am, Nine/WIN), Australia versus Australia A, is live from Brisbane. Sunday night movies are Summer Rental (repeat, Seven/Prime), Bugsy (repeat, Nine/WIN) and The Big Chill (repeat, Ten). Monday: Seven’s summer of tennis begins with the Peters New South Wales Open (11am, Seven), live from White City, Sydney, with commentators Garry Wilkinson, Wendy Turnbull, Pam Shriver, Peter Landy and Allan Stone. Daily coverage continues through to Sunday. In Neighbours (6.30pm, Ten), Helen (Anne Haddy) gets suspicious when Phil (Ian Rawlings) invites Molly (Robyn Hughan) to dinner. Tuesday: The Benson And Hedges World Series Cricket, Australia versus England, is live from Melbourne, with limited coverage in Melbourne (2.20pm to 4.30pm, Nine) and full coverage in Regional Victoria (2.20pm to 6pm, 7pm to 10pm, WIN). Jennifer Keyte’s World Around Us (7.30pm, Seven/Prime) continues Greg Grainger‘s travels through Italy. Wednesday: There is more tennis, this time it’s the Colonial Classic, live from Kooyong, Melbourne (12pm, ABC), continuing through to Saturday. 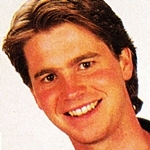 In Neighbours (6.30pm, Ten), Brett (Brett Blewitt, pictured) and Libby (Kym Valentine) decide to run an experiment involving the school captaincy. Champion cyclist and former politician Sir Hubert Opperman is interviewed in A Life (9.40pm, ABC). Thursday: The Benson And Hedges World Series Cricket, Australia A versus England, is live from Sydney (2.20pm to 6pm, 7pm to 10pm, Nine/WIN). The Best Of Beyond 2000 (7.30pm, Ten) looks at Australia’s first database of surfing breaks; the future of animation; and unlocking the secrets of whales. Friday: In Neighbours (6.30pm, Ten), Bianca (Annie Gagliardi) and Marlene (Moya O’Sullivan) hatch a plan to turn the back of the shop into a drop-in centre.